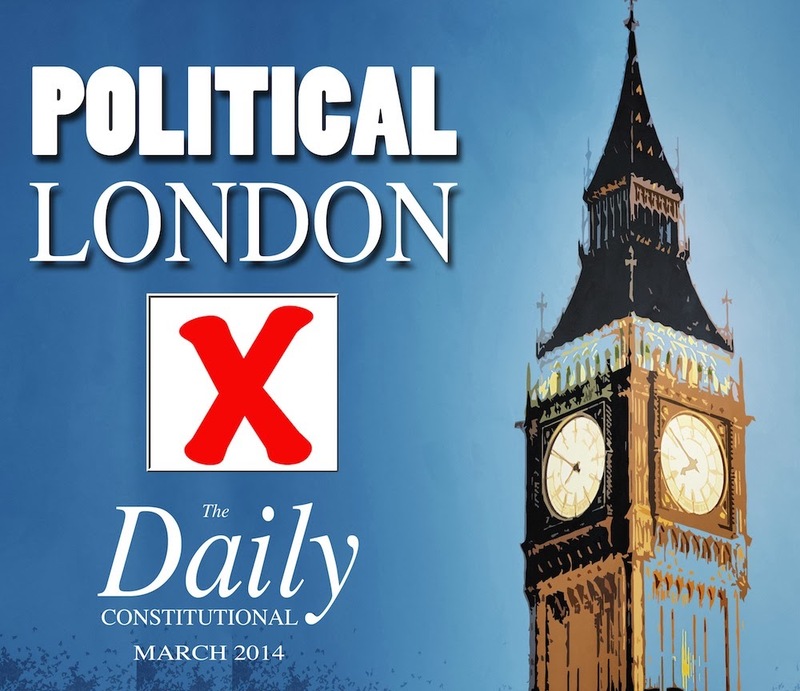 The Daily Constitutional: The Political London Trump Card Game – Card No.3! 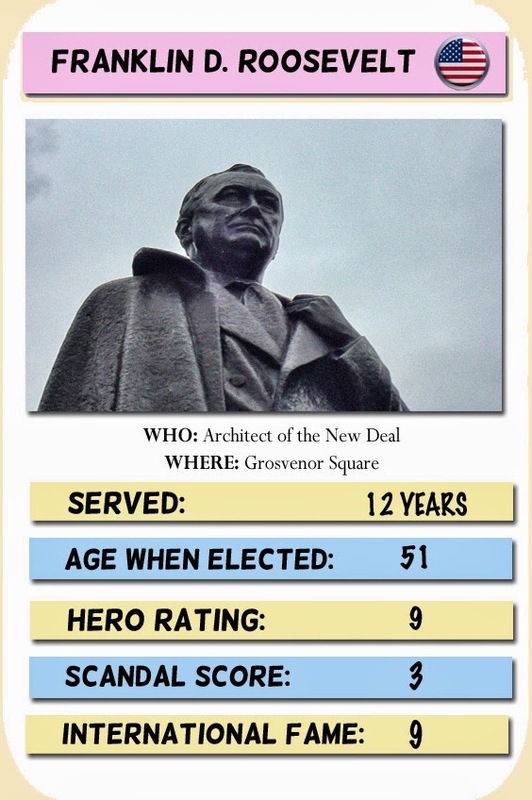 The Political London Trump Card Game – Card No.3! 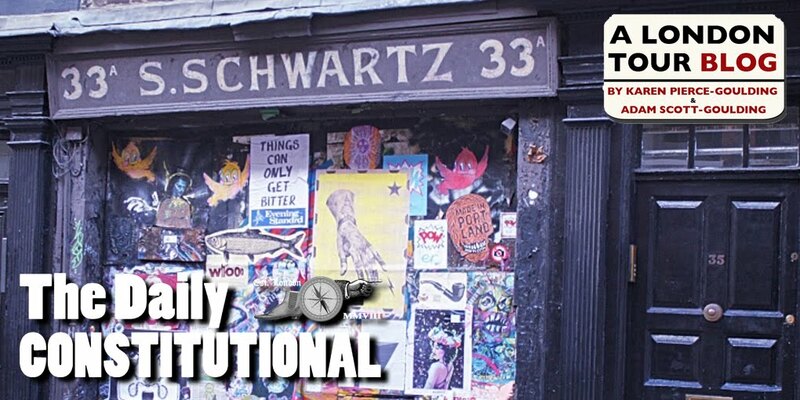 To tie-in with this month’s Political London theme here on both The Daily Constitutional and the London Walks Podcast, here’s our… Political London Trump Card Game! Each card will have a Prime Minister or President represented in the form of a statue, plaque, street name or pub sign from somewhere in London. Instructions on how to assemble your card game, and rules for play are listed below. We'll post the rest of the deck over the next few weeks. Happy collecting! FDR's statue in Grosvenor Square is a rare depiction of the President standing – albeit with a cane º and cane be found near the US Embassy. A fascinating little list at the US Embassy's website details FDR's official visits to Britain – most of them to former colonies, many of those on "fishing trips"! Download the image above. This is the face of your playing card. Print the image on a piece of card then cut it out carefully. When you have collected the set then you are ready to play The Political London Trump Card Game! Print the image at the bottom of this post on a piece of A4 card – this is the back of your playing card. One A4 sheet should make three cards. 2. The player who has voted for the greatest number of winning Prime Ministers/Presidents in real elections goes first. 3. Select a category and read out the stat on the card. If the number is higher than the corresponding number on each opponent’s card, then that player wins all the cards in that round. 4. The player continues selecting categories of her/his choice until s/he is defeated, at which point the new winner takes her/his turn to call out a category. 5. The winner of the game is the player who holds wins off of her/his opponent’s cards. NB. IN THE “AGE WHEN ELECTED” CATEGORY, THE HIGHEST NUMBER WINS. WE ARE BEING DEFIANTLY AGEIST IN FAVOUR OF OLD FOLKS. UNFAIR? THEN WRITE TO YOUR MP. IN THE “SCANDAL RATING” CATEGORY, THE HIGHEST NUMBER WINS. WE ACTIVELY ENCOURAGE POLITICAL SCANDAL IN THE INTEREST OF GOOD STORIES. ANY POLITICAL GEEK WHO SAYS THEY DON’T LIKE A POLITICAL SCANDAL IS LIKE AN ICE HOCKEY FAN WHO SAYS THEY DON’T WATCH ICE HOCKEY JUST FOR THE PUNCH-UPS – I.E. A LIAR. 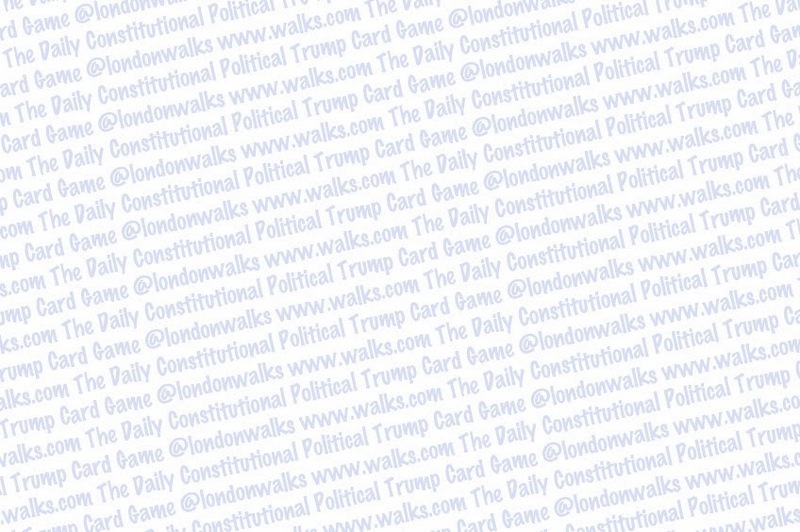 This is the backing for your Political London Trump Game playing cards – print it out on A4 and then print your cards on the other side! Click HERE for card no.1. Click HERE for card no.2. 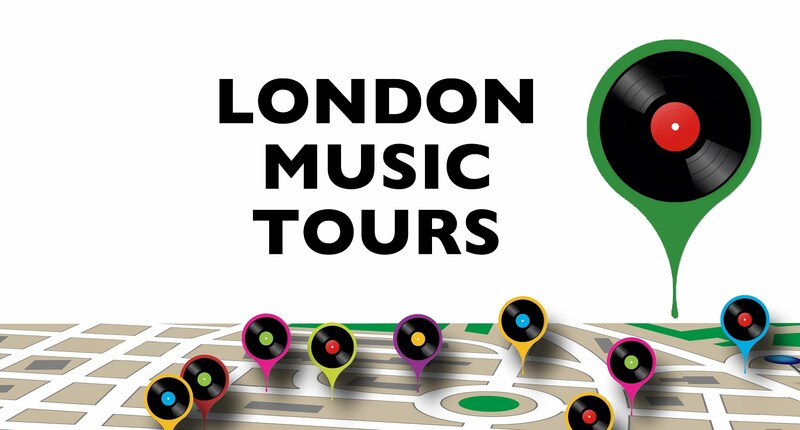 The Political London Podcast from London Walks will go live next week.